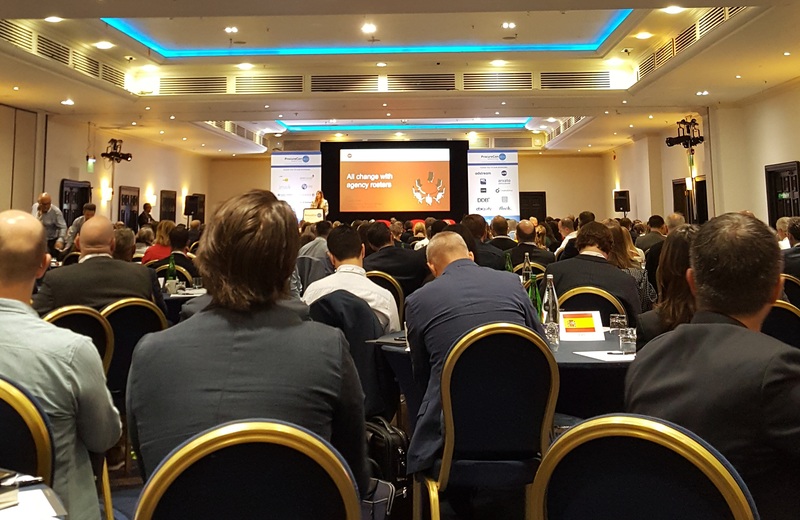 We’re at ProcureCon Marketing again this year, at its usual venue, London’s Tower Hotel, just by Tower Bridge, with its great views over the Thames and iconic landmarks. 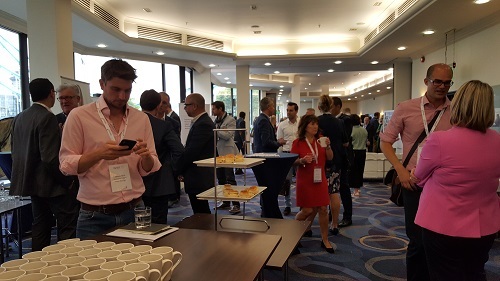 ProcureCon Marketing has been going for a few years’ shy of 20 now in one guise or another, and each year seems to grow in popularity (touching 250 delegates this year). If we take on board some of what Gerry Preece, co-author of “Buying Less for Less: How to avoid the Marketing Procurement dilemma,” consultant and ex-P&G head of marketing procurement, said last year in an excellent speech: we are maybe at an all-time low for trust between marketing and procurement (and the supply side), then we might begin to understand why more and more procurement folk, who touch marketing in some way, are eager to learn new methods and models to keep relationships alive and thriving (as well as getting value and quality). Maybe that is also why this year’s golden thread (for Day 1 certainly) centred on the need for Trust and Transparency. It’s a golden oldie of course, we hear it all the time. But maybe it has more meaning now in an era of increasingly digital- and content-driven advertising, where marketers and agencies need to move fast and adapt with different models and structures and, basically (and we include marketing procurement here) have to fight to substantiate their existence. And then of course, we have to ask: what role should procurement play? So, under the general theme of Re-Imagining the Agency Landscape, Anthony Groves, group commercial director for global clients at Dentus Aegis, moderated a late morning session on ‘how the Advertiser-Agency relationship must evolve to unlock value in the digital economy.’ In this panel discussion, trust and transparency came up as a number-one requirement for securing growth in an increasingly challenging media and commercial marketplace, and as a priority recognised more and more by CEOs. It also talked about what that means for which stakeholders. We’ll have more on that discussion next week. We’ll also take a look at ‘a 360-degree View from the Top,’ which focused on marketing procurement leaders’ views of the current complex marketing landscape. They discussed the push for simplification of agency roster models and the opportunities for streamlining. And we’ll be featuring, from what we heard, was the most talked-about presentation of the day: In an era of cost-cutting, which innovative technologies and new business models should you adopt to take your marketing function to the next level? It was given by Zoja Paskaljevic of Ciesco Group. Speaking to delegates, they found this a most stimulating session, taking in the themes that are impacting the media landscape, how the media owners, content providers, agencies and advertisers are keeping on track, and the relevance of data and wasted spend. And people really enjoyed the ‘Music Agency Perspective: What Were The Critical Success Factors For Creating A Single Source Music Approach At BT?’ presentation by David Marcus, Managing Partner at Cord. The middle of the presentation showcased a short video of BT’s successful sonic branding creation. We’ll be looking into that next week too, especially with reference to our interest in buying music rights, which we featured at length a couple of years ago. So a few highlights from Day 1, with more to come. On the more practical side to the event, WBR have consistently shown over the years that they run a well ordered and well coordinated event. There’s always a nice flow of refreshments throughout the day too, and the hotel provides a rather tasty and varied lunch, which we were ready for this year, as the morning session that started at 8.30 didn’t break for lunch until 1.40.